Getting ready for some spring landscaping? Planning on planting a tree in honor of Arbor Day? 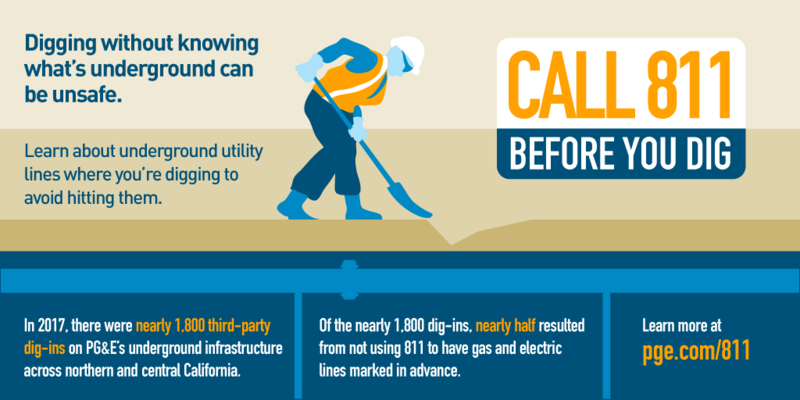 Don’t forget to call 811 or visit california811.org at least two working days before you dig and have PG&E and other utilities come out and mark their underground facilities, it’s FREE and it’s the law! See the PG&E marking information brochure for details and more information.